Coast, river or wilderness? How about all three in one hike? This area is a Mecca for those who love to be out in nature at its most… well, natural. Sign up for local hiking expeditions updates. 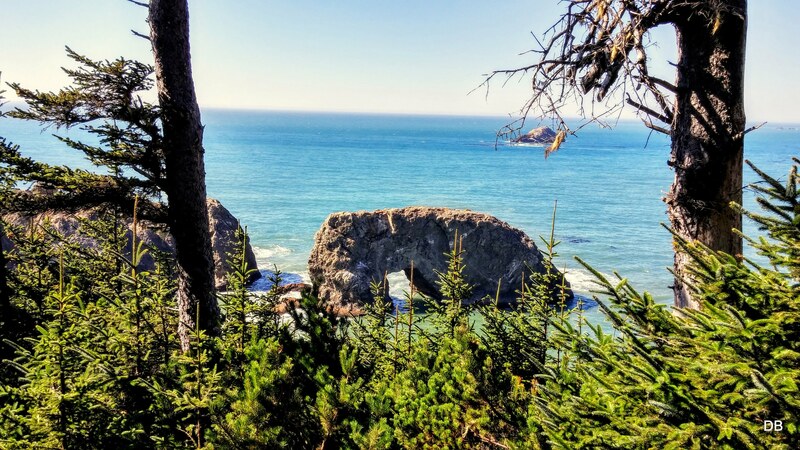 Gold Beach hiking doesn’t necessarily mean heavy boots and rocky climbs to see incredible sights, and many of the best are short enough so you can plan kayaking, fishing or napping later in the day. 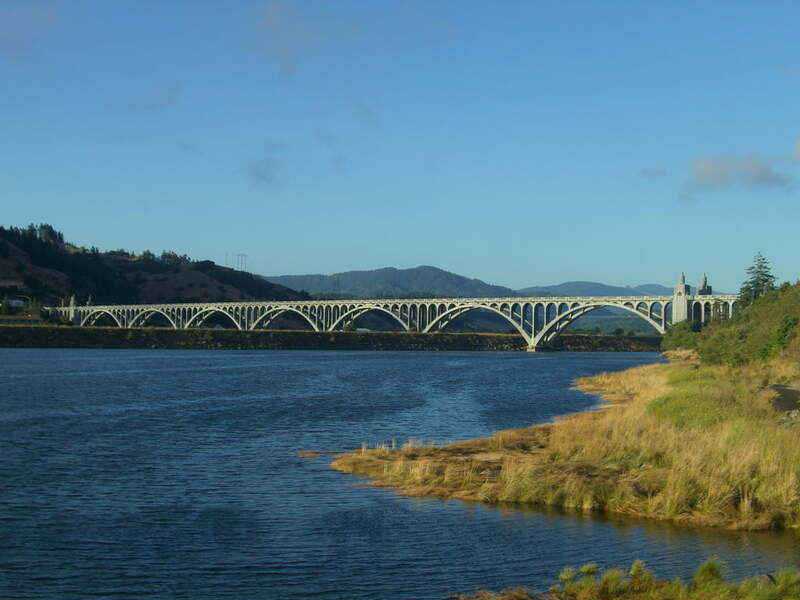 Trail guides and maps for the Coast Trail, Rogue and Illinois River trails and others are available at the Gold Beach Visitors Center. The Francis Shrader Old Growth Trail is an old-growth forest that has evolved over hundreds of years. Stroll among these giant trees and learn about the many facets of the forest. 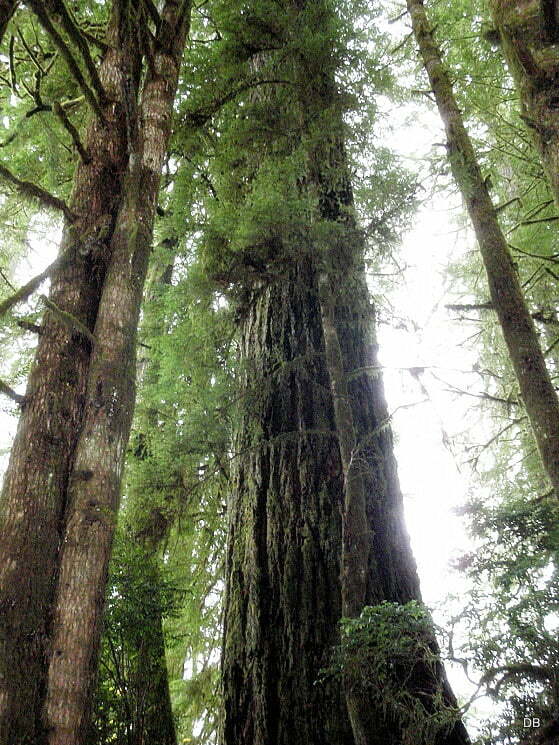 These old-growth forests of the Oregon Coast are national treasures for those with a keen eye for discovery. With in a canopy of big firs and cedars, a story is waiting to be told that involves the tiniest of insects and the oldest of plants. It is a story of people, the forest, the past and the future, and the constant renewal. 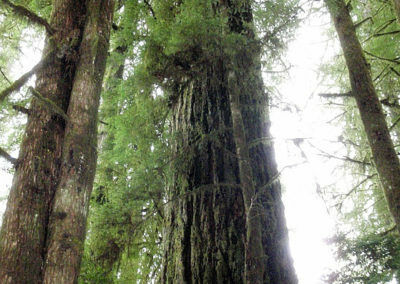 The Myrtle Tree Trail: Home of Oregon’s largest known Myrtle Tree. This tree is one of the world’s largest known myrtle trees: it is approximately 88 feet tall, 42 feet in circumference, and its canopy is nearly 70 feet wide. As you walk this 1/4 mile trail, you will see an old-growth forest which is different from others found on the Gold Beach Ranger District. Elsewhere, you are likely to find large Douglas-fir trees with tanoak and madrone in the understory. Here you will find myrtle trees as the predominant understory tree. This is due to many factors, including the soils, climate regeneration methods, and the myrtle trees’ response to forest fires. There are several excellent books (one online bookstore lists nearly 120 titles!) 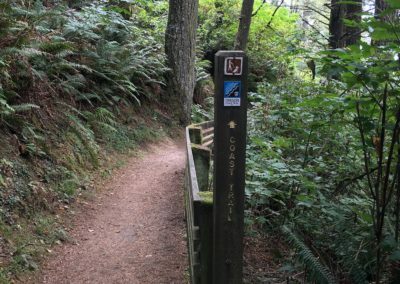 for info on Oregon’s seaside trails, sandy beach treks, inland hikes and deep forays into the wilderness with a pack on your back. 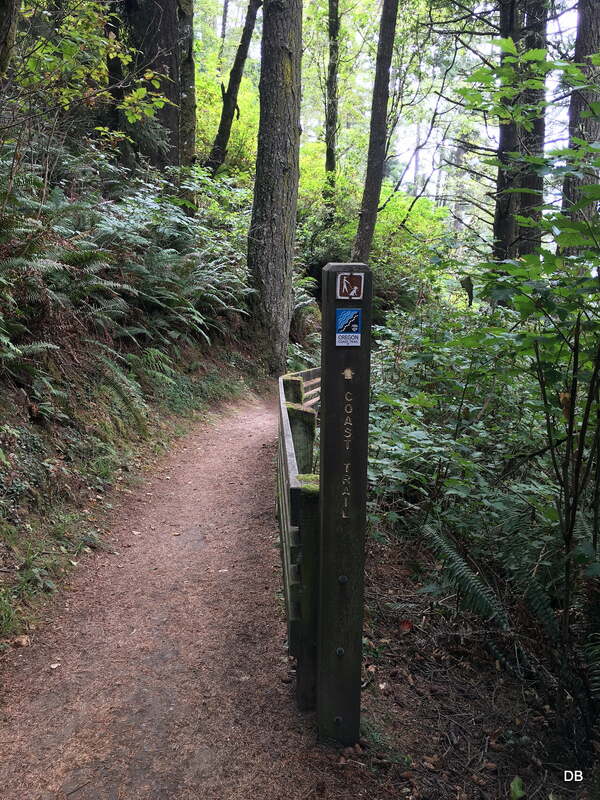 For more information on these and other local trails, check out the Gold Beach Ranger District website. 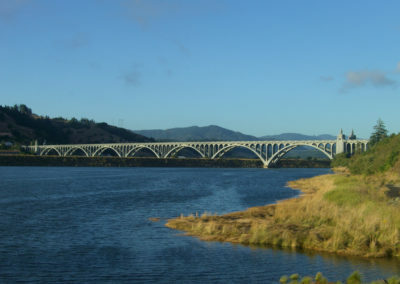 The variety within a few minutes’ drive is impressive, as are the sightings, from migrating California whales to spawning Chinook salmon, brown river otters to black oystercatchers, springtime meadows of golden Siskiyou iris. 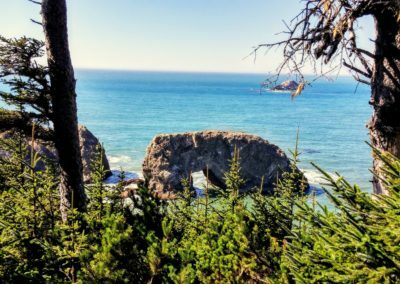 Before you set out on any of the more remote hikes, it’s wise to visit the Gold Beach Visitor Center (94080 Shirley Lane, Gold Beach 97444, 541-247-7526) & Gold Beach Ranger District (29279 S. Ellensburg, Gold Beach 97444; 541-247-3600) for directions, necessary passes and trail conditions. For beach hikes, read up on high and low tide times in the local paper or pick up a free tide guide at the Visitor Center to be sure you’re not trapped in a cove when the tide comes in.